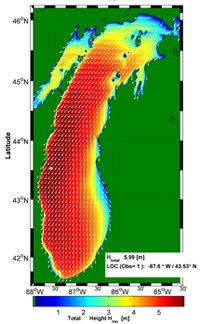 The Federal Emergency Management Agency (FEMA) has initiated a coastal analysis and mapping study to produce updated Digital Flood Insurance Rate Maps (DFIRMs) for coastal counties around the Great Lakes. This storm surge study is one of the most extensive coastal storm surge analyses to date, encompassing coastal floodplains in eight states. 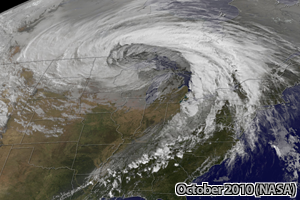 Ultimately, the study will update the coastal storm surge elevations for all of the U.S. shoreline of the Great Lakes. This new coastal flood hazard analyses will utilize updated 1-percent-annual chance stillwater elevations obtained from a comprehensive storm surge study conducted by the U.S. Army Corps of Engineers. An updated coastal flood study will provide a better estimate of coastal flood hazards and risk for the Great Lakes. The current, or effective, Flood Insurance Rate Maps (FIRMs) are outdated primarily due to the age of data and methodologies, many of which date back to the 1970s. Major changes in National Flood Insurance Program (NFIP) policies and methodologies have occurred since the effective dates of many Flood Insurance Studies (FIS) in the area, creating the need for an update that would reflect a more detailed and complete hazard determination. This web site will serve as the central location for public access to information on this study, as well as the locations and dates of outreach activities. 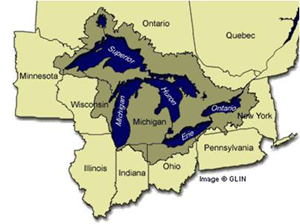 The Great Lakes coastline includes shoreline in Michigan, Wisconsin, New York, Illinois, Indiana, Minnesota, Pennsylvania and Ohio. As the study progresses, stakeholders will be provided information on the study process and status through a series of electronic announcements, mailings and, finally, public meetings to discuss results and plans for updating FIRMs around the Great Lakes region. WordPress! | Theme: Garland by Steven Wittens and Stefan Nagtegaal.